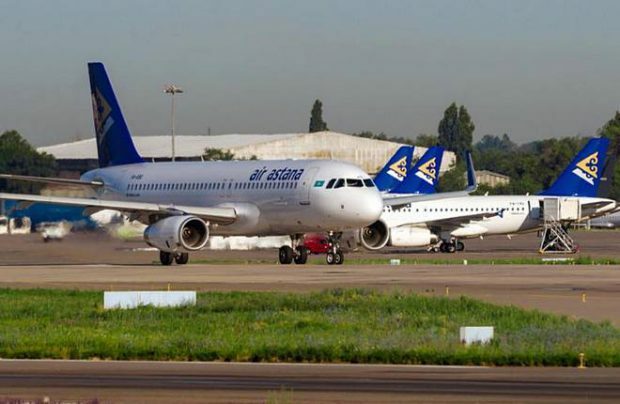 Kazakh flag carrier Air Astana introduces an expanded 2018 summer schedule on 25th March, which features a number of new routes, together with widespread increases in service frequencies across the network from both Astana and Almaty, both of which are hubs for the operator. Enhancements include a new twice-weekly service from Atyrau to Frankfurt, which launched on March 26, and new services from Astana to Tyumen (three) and Kazan (one), both in Russia, which will commence in early June. The service frequency to Kazan will increase to three times a week later in the year. In addition to the bolstered service between Astana and London Heathrow, which goes daily commencing June 1, the new schedule sees weekly frequencies increase from Astana to Beijing (five), Bishkek (five,) Delhi (four), Kyiv (seven), Moscow (12), Omsk (seven), St. Petersburg (nine), Tbilisi (four), and Urumqui (seven), whilst weekly frequencies from Almaty increase to Baku (four), Bishkek (nine), Beijing (seven), Dushanbe (five), Hong Kong (three), Kiev (nine), Moscow (16), St. Petersburg (10), and Tbilisi (seven). The summer schedule will see Air Astana serving 30 cities in 21 countries, including 13 cities in five CIS countries, Georgia, and Ukraine; serving Moscow, St. Petersburg, Yekaterinburg, Kazan, Novosibirsk, Omsk, Baku, Dushanbe, Bishkek, Tashkent, Tbilisi, and Kyiv in Ukraine. The domestic network covers 12 cities across Kazakhstan including Almaty, Astana, Aktau, Atyrau, Aktobe, Uralsk, Shymkent, Kyzylorda, Oskemen, Pavlodar, Kostanay, and Karaganda.